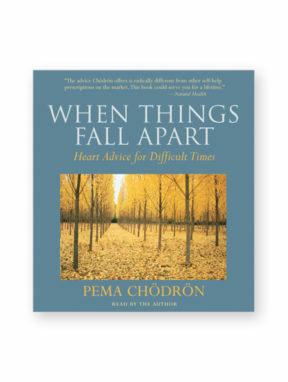 These 4 talks by Pema Chödrön present how to develop a stable, open, and strong mind in the midst of the chaotic, painful, and groundless experiences of our lives. In addition to guided meditations and talks by Pema Chödrön, three of the talks begin with 15-30 minutes of guided mindfulness meditation by Jane Kolleeny. Recorded in New York City, 2004. 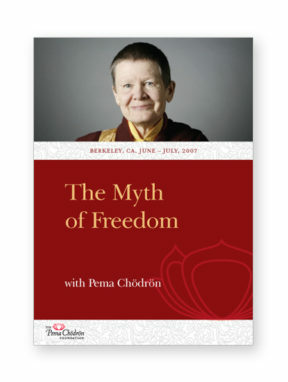 Talk 1: First Principle of Meditation: Recognizing What’s Happening. 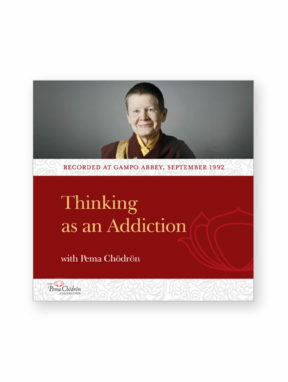 The basic rationale and approach of mindfulness practice. Talk 2: Second Principle of Meditation: Interrupting Chain Reactions. How to adopt an attitude of gentleness and respectfulness in the process of labeling thoughts and returning to the object of meditation. Talk 3: Third Principle of Meditation: Connecting with the Immediacy of Experience. Not struggling with what is and discovering relaxation. Knowing one’s own fear and suffering and knowing the fear and suffering of others. Talk 4: Questions and Answers. Working with the desire to hold onto thoughts, the experience of loneliness, the tendency to evaluate one’s practice, the tendency to plan for the future in practice, and the middle way between eternalism and nihilism.